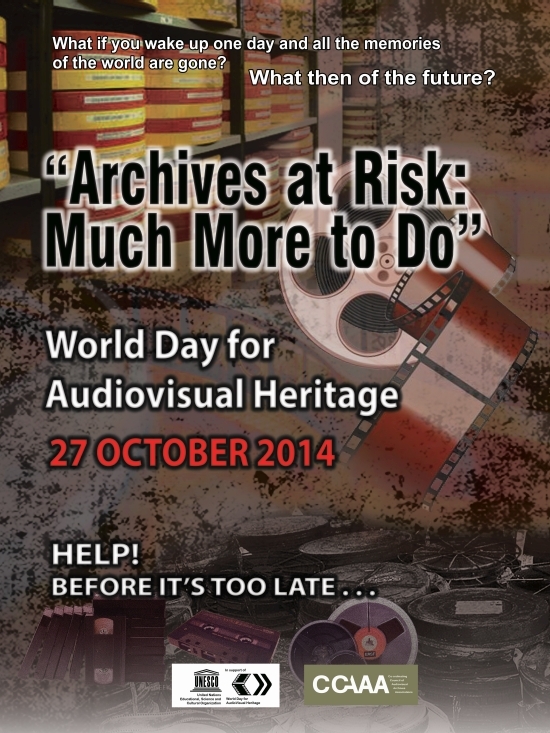 Every year on 27 October, audiovisual archives around the world celebrate the World Day for Audiovisual Heritage with activities and events that not only highlight the vulnerability of this heritage, but celebrate the often unheralded yet essential work they do to protect it. 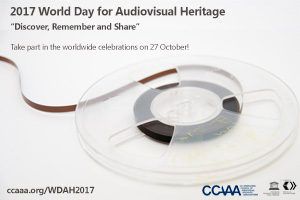 As a result, UNESCO made it part of its mission to raise public consciousness of the importance of the preservation of these recordings through the World Day for Audiovisual Heritage, which was approved by the UNESCO General Assembly in 2005 and initiated in 2006. 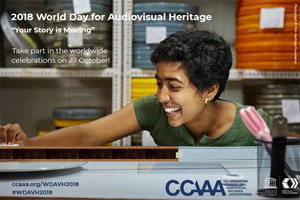 In adopting 27 October as the World Day for Audiovisual Heritage, UNESCO, in co-operation with the CCAAA and its member-associations, has helped to raise the profile of the issues at stake and focus global attention on the fragility of this heritage. The date is significant. 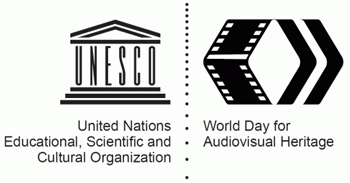 On 27 October 1980, UNESCO’s General Conference adopted the “Recommendation for the Safeguarding and Preservation of Moving Images”, the first international instrument to declare the cultural and historical importance of film and television recordings, and calling for decisive steps to ensure their preservation. 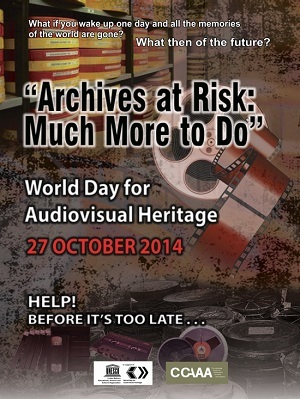 The World Day for Audiovisual Heritage, together with the Memory of the World Programme, have become the two key actions for UNESCO and the world to honour audiovisual preservation professionals and institutions that help to safeguard this heritage for future generations despite the many technical, political, social, financial, and other factors that threaten its survival. UNESCO, the CCAAA, and FIAF encourage everyone everywhere to join us in celebrating 27 October by showcasing their precious collections so that present and future generations can enjoy the treasures that are our shared audiovisual heritage. 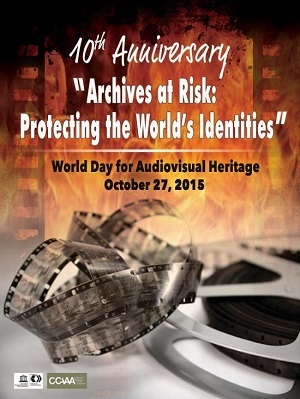 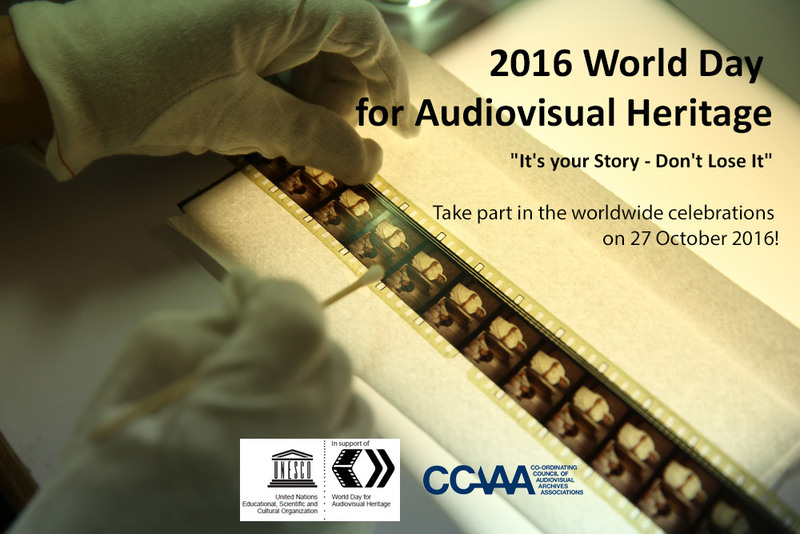 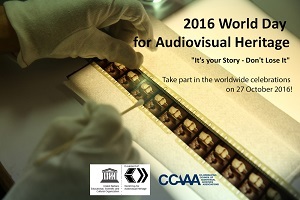 The page dedicated to the 2018 World Day for Audiovisual Heritage can be found here.